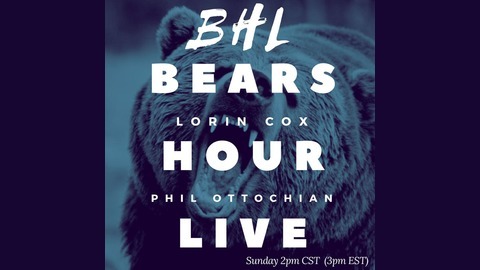 Hosts Lorin Cox and Draft Dr. Phil Ottochian provide you with in-depth Chicago Bears analysis that you can't find anywhere else. They break down the tape and cut through the media narratives to bring you everything you need to know about the navy and orange in their weekly, live radio show. If you're tired of the regurgitated mainstream football analysis, this is the podcast for you. 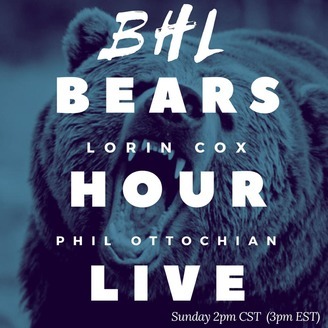 This episode of Bears Hour Live will get you all set for Chicago Bears training camp and the return of football once again. Hosts Lorin Cox and Draft Dr. Phil Ottochian preview the team's biggest positional battles as they head down to Bourbonnais, Illinois, with a look ahead to how this roster could shape up for the regular season. BHL starts with a deep dive into the wide receiver position, looking at who could be in line to start opposite Cameron Meredith and how the competition in the slot may play out. Find out why all signs point to Kevin White as a Week 1 starter. This episode also touches on the crowded tight end depth chart, the overload of young talent at backup running back, and the future of Kyle Fuller and the other competing cornerbacks. The real question is, will the Bears' depth chart be a true meritocracy, or will player and coach politics shape who sees the field this season? Bears on the bubble: Who has the most to prove at training camp? How good can the Bears' defense be in 2017? Is Kevin White a lock to make the Bears' roster?